Go ahead and read that headline again. 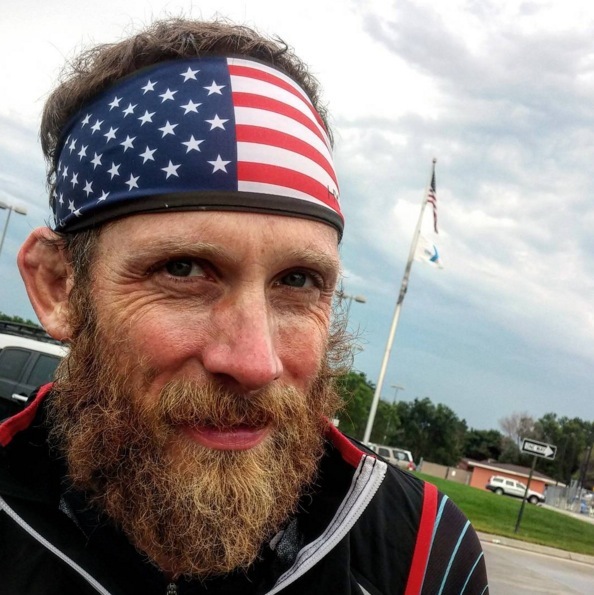 50 Ironman triathlons in 50 days in 50 states. There are no typos there. James Lawrence, who goes by the nickname Iron Cowboy, actually did that last summer. And he used acupuncture to help fuel his journey. The Iron Cowboy's 50.50.50 has been documented by numerous media outlets. It's worth a Google search to understand the magnitude of what he endured to break his own world record of consecutive Ironman races and raise money for the child-obesity epidemic. A lesser covered aspect of the Iron Cowboy's great adventure is his use of acupuncture. Specifically, he received laser-acupuncture treatments several times a week leading up to and during the 50.50.50. I recently caught up with the Iron Cowboy about how his consistent acupuncture regimen helped him achieve an unfathomably impressive feat. The bigger reason, though, for using laser acupuncture over traditional needle acupuncture was time. The treatment time with laser acupuncture is significantly less. I could get acupuncture on 20 different spots on my body in considerably less time than it would have taken with needles. Author note: This is true. Laser-acupuncture protocols involve holding a laser at the site of an acupuncture point for mere seconds--usually 10-20, almost always under 60. Compare that with needle acupuncture, which usually involves the patient retaining needles for between 20 and 40 minutes. How often did you receive acupuncture treatments? I was getting regular acupuncture treatments for two straight years in preparation for the 50. When the race came, I was out there for seven weeks and Dallas [Makin, of Utah Spine + Sport] joined me for five of the seven weekends. When he was there, I got laser-acupuncture treatments three or four times a day. Were your treatments targeted at anything specific? If I had any issues come up during the event, he'd focus the treatments on that. But in addition, and even when I didn't have specific trouble areas, he did preventive treatments that were similar to the years of work we did leading up to the event. How has acupuncture been helpful in your recovery and ongoing training? I've continued to receive acupuncture in the same way I did in the two years preparing for the 50--preventively. My training now is still intense but it's not at the same volume it was last year. I don't go as much, but I still go in for regular preventive acupuncture treatments. A common criticism of acupuncture is that we can't prove it works because Western clinical trials haven't consistently demonstrated its efficacy. What's your response to that? There are so many things that work that can't be proven. I don't need a study to tell me what works for me. I know what works by being in tune with my body. I accomplished the 50 by doing a lot of things consistently--and acupuncture was one of them. I also use chiropractic, cryotherapy, herbs and supplements, essential oils, fruits and vegetables, garlic as a natural antibiotic. To me, Western drugs should only be used in case of emergency. That type of medicine is a band-aid and a suppressant--it's not making you any less sick. The bottom line is this: I did something that science said couldn't be done, and I did it with the help of acupuncture. That's hard to discredit. For more on acupuncture for athletes, read this article. Sara Calabro is the founder of AcuTake, an easy-to-understand website about acupuncture and acupressure. To find an acupuncturist, visit the AcuTake Acupuncturist Directory.